Synergy Chiropractic Clinic is based in Holbeach, Lincolnshire. At Synergy Chiropractic Clinic the McTimoney method of Chiropractic is practised, this is a whole body technique it is fast, gentle and effective for the whole family. McTimoney Chiropractic treatment is a straightforward gentle method of adjusting the bones of your body using the hands only, to maintain correct alignment, and to ensure that your body's nervous system works efficiently. Other techniques including the Emmett Technique, Trigger Point Therapy, Sports massage, Soft Tissue Release and Cranial/Sacral Therapy may be used where appropriate for the patient. 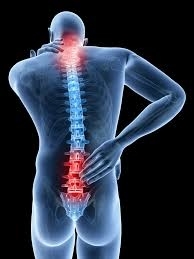 Call today for an initial consultation or to book a FREE Spine Check. At Synergy we also specialise in McTimoney Chiropractic for Small Animals such as your canine and feline family. Take a look at Small Animals page for more information.